The weed life force went up, surging toward the sky and the sun, towards energy. The weed stalk’s mission was to feed the plant by gathering water and nutrients and racing them to the leaves and roots, so that the weed could plant seed and spread. 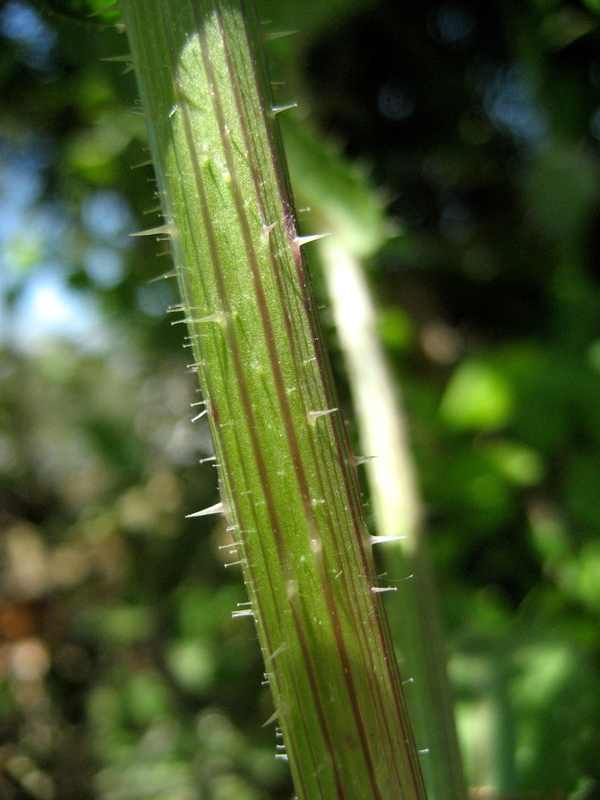 The weed stalk rose strong and true and along its length it grew thorns, to protect itself and preserve its mission. If I were a tiny catapulter, I would look longingly at the height of the weed stalk, thinking perhaps I’d go up it, thinking it could help me get to the sunshine, but then after long contemplation of the thorns, I’d decide to pass it by. This ladder is built just for weed energy and no one else. I so admire thorns!